What Kind Of Teeth Cleaning Do You Need To Boost Your Gum Health? 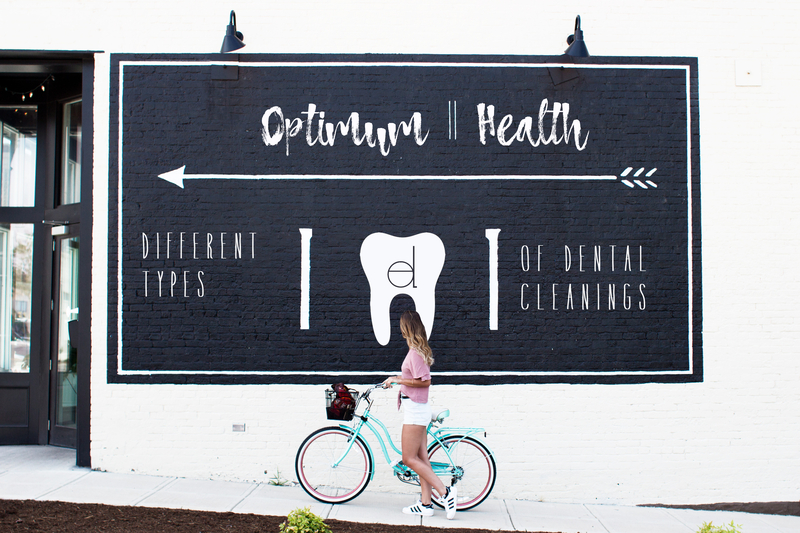 We talk a lot about how important your oral health is to your overall health—so you’re probably already aware of the fact that routine professional cleanings, along with your consistent daily oral hygiene habits, help keep your teeth protected from decay and your gums healthy. Not to mention the added benefit of having a beautiful smile. But guess what you might’ve never thought about before: There are actually different types of teeth cleanings when it comes to taking care of your gums! So today our dentist, Dr. James Powell, is going to help you understand how these dental cleanings are used to prevent and treat periodontal disease. Let’s first gain a better understanding of why maintaining the health of your gums is paramount to your oral health. Your gums don’t just surround your pearly whites to look pretty. They actually hold your teeth in place and maintain the supportive bone material attached to each tooth. When gum disease enters the picture as a bacterial film called plaque, your body reacts by fighting the bacterial intruders with inflammation (aka gingivitis). 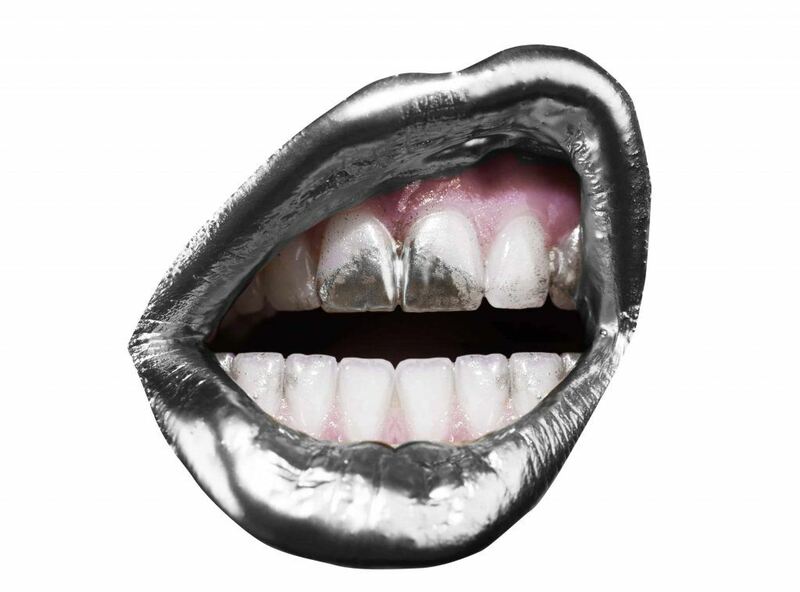 If the plaque is left to progress, then it will harden and transform into tartar/calculus. 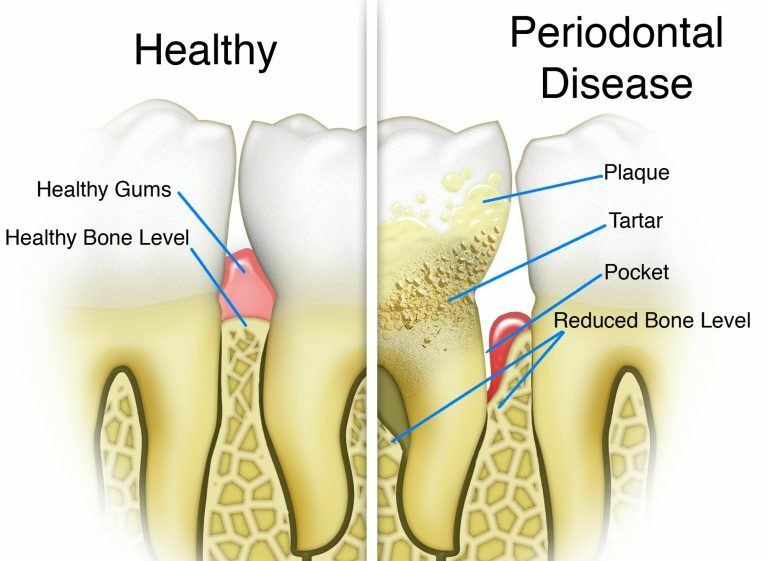 Once the bacteria has been given enough time it leads to an active infection of the gums (aka periodontal disease). And it does get worse. If the infection under the gum line isn’t stopped, it eventually results in the inflamed tissue pulling away from the tooth (and bone). 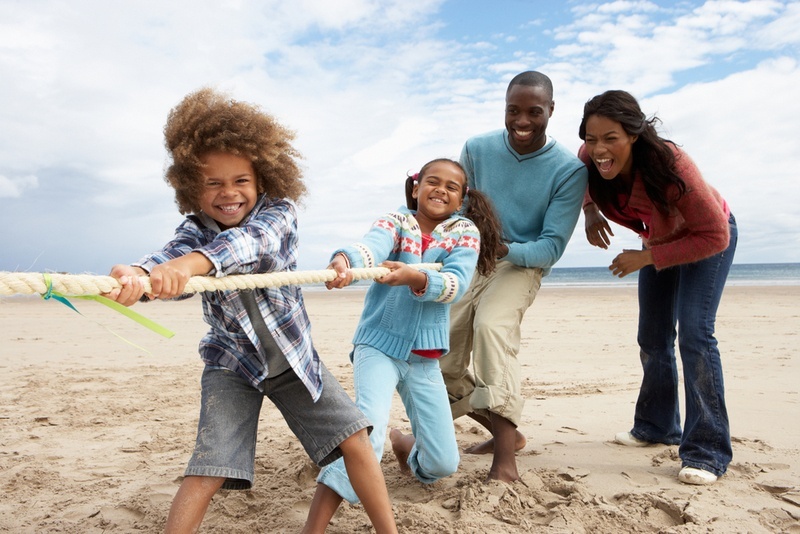 The severe recession and bone-loss can end up costing you in missing teeth! Mind you, this extreme progression of gum disease will develop unless you routinely have your teeth cleaned by a licensed professional. When it comes to gum disease, even daily brushing and flossing can’t remove hardened plaque from under the gum line—which is why it’s imperative to see us at the recommended time. And if you’ve been told you have periodontal disease, you’re going to need more in-depth treatment to keep it from progressing. So now let’s break down these teeth cleanings for preventing and treating gum disease. What Is a Prophylaxis Cleaning? According to the ADA (American Dental Association), a prophylaxis cleaning is defined as the removal of plaque, calculus, or even tooth stains above the gum line. In layman’s terms this is what people refer to as a “basic cleaning”. But in our office we like to call it what it is: a preventative visit with our hygienist. This sort of a cleaning is done for folks who have healthy gums, or are in the early stages of gum disease (like gingivitis). Depending on how susceptible your teeth are to plaque buildup, we may recommend that you come in every four to six months. But the good news is, this will keep you from developing cavities and a more advanced form of periodontal disease. 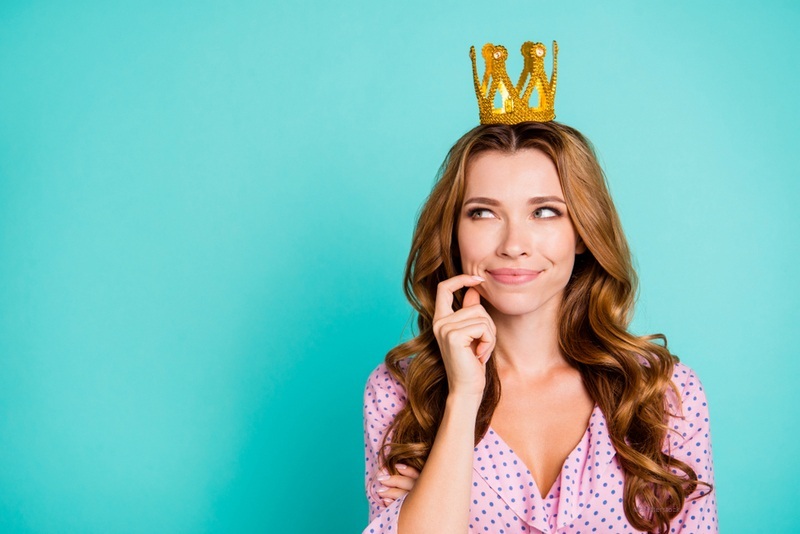 Plus, prophies are usually covered by insurance because it’s in the category of a “preventive procedure” and insurance can do a decent job of helping cover basic care. An ounce of prevention is worth a pound of cure. Next up is debridement (and no, it has nothing to do with bridal wear!). Debridement is not technically a type of dental cleaning, but rather, it should be thought of as a preliminary step to a cleaning. If a debridement has been deemed necessary it’s because dense, hardened plaque deposits on the teeth and gum line are keeping us from being able to see the teeth clearly enough to do an accurate dental exam and gum assessment. During a debridement one of our hygienists will go in and use special tools to carefully clear these deposits off. This might take a bit longer than a basic cleaning due to the level of difficulty, but the benefit is that afterward, we’ll be able to see if there’s any decay or infection. Keep in mind that the dentist can only get an accurate picture of a patient’s oral health once a debridement is done. Then further treatments for periodontal disease or other problems may be needed. If you’re nervous about the treatment, or if you have tooth sensitivity, you’ll be amazed by how comfortable you actually feel at our office thanks to our advanced training and technology. When you need more than a basic cleaning, you’re typically in need of a scaling and root planing because the bacteria we mentioned before is reeking havoc below the gum line (yea, bleeding gums when you brush or floss is not normal). Scaling and root planing has many different names: S.R.P.’s, deep cleaning, scaling and root debridement (S.R.D.’s)—but whichever name you’re familiar with they all translate to necessary periodontal therapy. You could need periodontal therapy for just a few teeth, a section of your teeth, or your full mouth. Things like bleeding and deep pockets around the teeth are indications that you’re in need of periodontal therapy. During periodontal therapy, our hygienist will go in and scrape away the stuff irritating your gums – plaque, bacterial toxins and calcified deposits (tartar). We’ll clear this off of the teeth and the root surfaces. Next, root planing smooths out the rough parts of the root surfaces to keep any future oral bacteria, plaque and tartar from gaining a toehold. The benefit of this treatment is that now your gums can heal and attach back on the teeth like they’re supposed to. It’s important to understand that any tissue damage (recession) that has already occurred cannot be reversed but instead this treatment is an active step in ensuring that the disease does not progress further. If you’ve had periodontal therapy then that meant that the pockets between your teeth were deep and harboring bad bacteria. It’s great if you’ve taken the step to remove buildup and disrupt the bacteria colonies, but in order to ensure that bacteria doesn’t do more harm in those deep pockets periodontal maintenance will be necessary. Periodontal maintenance cleanings are more involved than a basic cleaning and they are intended to maintain the treatment we’ve done so far so that your gums & bone don’t get destroyed by the disease. These cleanings are usually scheduled every three to four months. However, frequency will depend on how fast plaque and tartar build-up in your mouth (so please keep up with your daily oral care), how deep the gum pockets are (the space between the gum and teeth under the gum tissue), and how much inflammation if any, is still there. You’re definitely going to want to eat a balanced diet to give your gums the nutrition they need and definitely don’t use tobacco. A basic cleaning includes cleaning your teeth above the gum line. It is only helpful for people with healthy gums or people with gingivitis. A person who has a thick buildup of tartar will need a debridement in order to get an accurate assessment of their teeth and gums; only then can it be determined what type of cleaning is needed. This is why this treatment is considered a preliminary treatment. Once gingivitis has progressed to a more advanced stage of gum disease periodontal therapy (deep cleaning) is necessary. Adverse health and oral effects can occur when left untreated. Additionally, serious oral surgery may become the only alternative if periodontal disease is left untreated for too long. 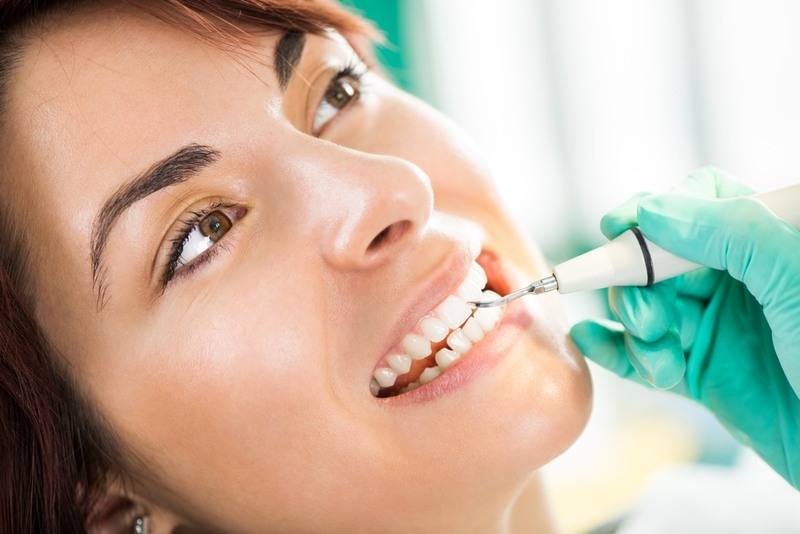 Lastly, periodontal maintenance is a cleaning that is more involved than a basic cleaning. It is for people with periodontal disease who have already had periodontal therapy and are maintaining the advancement of the disease. If you’ve experienced chronic bad breath, tender, red, bleeding gums, or you’d simply like to be proactive in your health them we invite you to reach out to our dental office to get started with the correct cleaning to boost your gum health. Contact our office at (661) 349-7725 today to make a reservation with our dentist in Palmdale, California. When it comes to your smile, we want to help you get the quality care you deserve!